George Dell’s Dance unto the Lord is a compelling fusion of history and fiction. Set in 1848 to 1852, when Ohio was considered to be the West, Dance unto the Lord transports the readers to Union Village, a Shaker community in southwestern Ohio. The novel traces the coming of age of Richard and Ruth, young people who wish to marry but are forbidden to do so by Richard’s parents. In desperation, Richard runs away to Cincinnati. Ruth, too, leaves her family. She settles in Union Village and eventually becomes a teacher at the Shaker school. Torn between her desire for freedom and the security of life with the Shakers, Ruth becomes increasingly more immersed in the Shaker society while dreaming of Richard and a life outside the community. Meanwhile, through his experiences with an ill-fated blacksmith’s shop and its owners, Richard learns that life in the city can be complicated and painful. As he traces Richard’s and Ruth’s experiences, Dell vividly re-creates the texture of rural and city life in mid-nineteenth-century Ohio, providing a fascinating, well-researched account of a long-gone era. 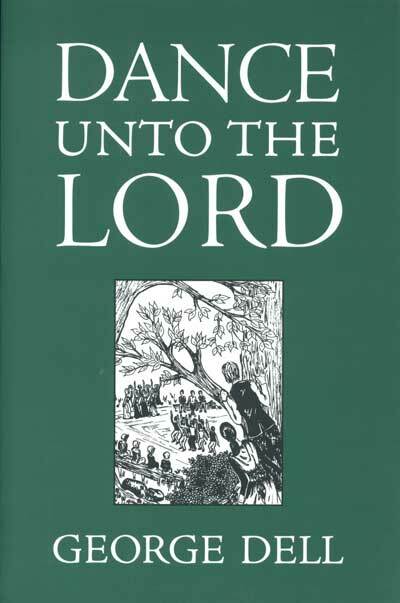 Dance unto the Lord provides wonderfully detailed descriptions of a Shaker community and life style. This book will be compelling reading for anyone interested in the time period, the Shakers, or simply a good story. George Dell was a professor of English at Capital University in Columbus, Ohio, for more than 40 years. He was the author of the critically acclaimed The Earth Abideth, which was made into the CBS miniseries “Seasons of Love.” Dell died in 1992 at the age of 91.